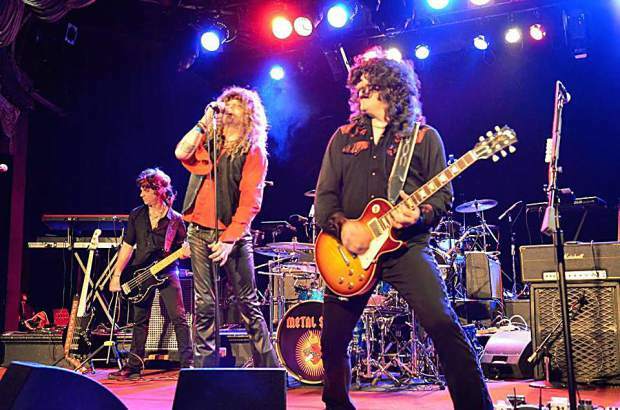 '80s tribute band Metal Shop headlines Crystal Bay Club Casino on Saturday, Jan. 7. When: Saturday, Jan. 7, 10 p.m. CRYSTAL BAY, Nev. — San Francisco-based ‘80s rock tribute Metal Shop makes the trek to North Shore’s Crystal Bay Casino to headline a night of music on Saturday, Jan. 7. “With a song list centered around the fun and exciting rock sounds of the MTV ‘80s, Metal Shop will have your party dancing the night away like never before,” states the band’s online biography. Influenced by a variety of artists including Bon Jovi, Def Leppard, Journey, AC/DC, Van Halen, Alice in Chains, Foreigner, Joan Jett, Billy Idol and much more, Metal Shop performs everything from classic rock to ‘80s hits and even MTV-era hair metal. Learn more about Metal Shop at http://www.metalshopsf.com, or interact with the band on Facebook.